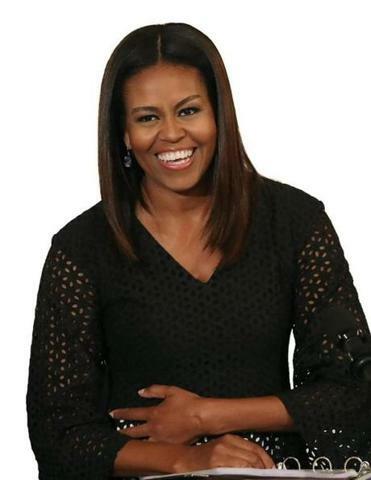 First lady Michelle Obama. Photo by Mark Wilson/Getty Images. You don’t hear much about “ladies” anymore, with one exception: the first lady. Maybe it’s our love of celebrities or just a desperate desire to stop worrying about who is (and will be) the most powerful person in the world, but first ladies are an eternally popular topic. “First lady” hasn’t, however, referred to the president’s wife for as long as you’d think, though the term itself is far older than America and soaked in old-fashioned ideas about women that are challenged by the evolution of the presidential partner’s time in office. “First lady” hence is a lexical paradox: an old-timey, set-in-stone term for an increasingly vital role. Just when “first lady” was first applied to the US president’s wife is unclear. Many give credit to Zachary Taylor, who supposedly referred to his deceased wife as “first lady” in her eulogy, but this legend lacks evidence. The Oxford English Dictionary’s first US-centric example is from an 1870 Detroit Free Press article, during the first term of Ulysses S. Grant: “We know who is first lady, and we know who is second lady — the wives of the President and Vice President have unquestionably these distinctions.” Yet the first definitive reference to an American first lady is an unusual case: Harriet Lane was the niece of President James Buchanan, a bachelor, and periodicals called Lane “first lady” during Buchanan’s presidency of 1857 to 1861. But even if the term wasn’t passed down from Martha Washington, “first lady” has a much longer lineage than America. Its older use, referring to important women such as queens and noblewomen, goes back to at least the mid-1600s. Still, to be honest, the main reason “first lady” sounds like a remnant of a bygone age is the word “lady,” which feels a bit Paleolithic amid a campaign season that may see our first woman president. The first uses of “lady,” found in Old English, refer to a female head of household, so this is a word with intrinsic power and class associations. Traditionally, ladies have had subjects, servants, and often slaves. Of course, the term also constricts women, who are still too often told to “act like a lady,” which usually demands being demure and subservient while languishing several floors beneath the glass ceiling. Not everyone, however, is so quick to throw the “lady” baggage overboard. The group Ladies Against Feminism takes a clear if counterintuitive stance, rejecting the implied equality of woman and longing for the days of ladies and gentlemen of yore. This campaign season has welcomed plenty of conversation about what to call Bill Clinton should his wife be elected in November — Katy Waldman jokingly suggests “first bubba” and “dude prime” in Slate. A bigger question, though, and equally relevant is whether we’ll ever get to rename the first lady (man or woman) something more appropriate, such as “first woman” or “first spouse.” When women begin taking their place in the Oval Office, the situation will further redefine the roles and nomenclature of the first family. The only safe prediction is that the titles lady president and presidentress will be not be making a comeback. Mark Peters is the author of the “Bull[expletive]: A Lexicon” from Three Rivers Press. Follow him on Twitter @wordlust.